Want a stunning look for your building? Home / Blog / Want a stunning look for your building? Sectional aluminum doors with glass sections are practical, durable and handsomely styled — and engineered for longevity, low maintenance, and enduring beauty. They are functional, versatile, and decorative, adding a sense of elegance to any building. For these reasons, they can be used not only in commercial and industrial businesses but recently in residential architectural applications. 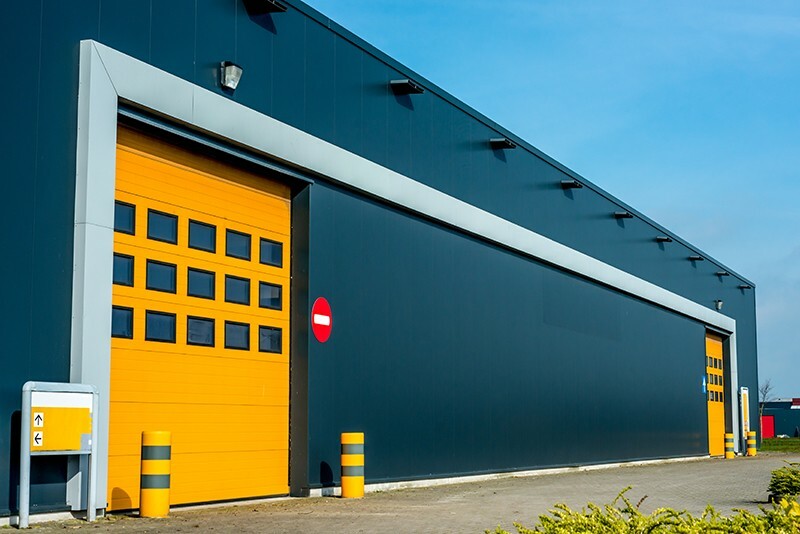 Aluminum sectional doors with glass sections offer an attractive solution for commercial and industrial purposes where visual access, light infiltration, and aesthetics are significant design considerations. These products include a variety of style widths, glazing materials, track styles and finish options. They are ideal for automobile dealerships, car washes, fire stations, professional facilities, retail environments and service stations. But garage doors are not just for garages! These doors have become the perfect choice for architectural applications that require clear visibility, bright natural light, and a modern, industrial design. The Full-View aluminum gates – and even windows – can be used as a standard exterior garage door or an interior “partition”. Nowadays, commonly used as a versatile patio door to merge seamlessly indoor and outdoor spaces. A perfect extension for hosting patio events, live music sessions and expanding the capacity of a restaurant, events venue or café. More and more people are converting sectional roll-up glass doors for cafe and bar fronts – even for gyms and office spaces- into a secure, heavy-duty window to create open-air ambiance and cross ventilation. And it’s been growing in popularity over the past couple of years in places ranging from home design to special event venues. The Industrial Trend is now influencing many special events and office spaces. Corporations are seeking hip warehouses and like to host industrial rustic, contemporary themed events. All in all, it is a stylish solution that improves working conditions and saves money by allowing natural light to shine inside the building. Due to their beauty, elegant look and durability, full view aluminum & clear glass garage doors will definitively boost the overall appearance of your building. It will increase your location’s property value and worth on the real-estate market. Wait no more and get a great door for your building. 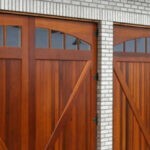 Colorado Overhead Doors Company offers many types of commercial garage doors. We offer doors for heavy duty industrial purposes and lighter duty industrial purposes. 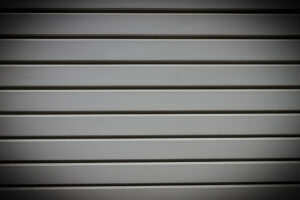 We have many choices for insulated commercial doors and full-view aluminum doors. We also offer fire rated doors as well as roll up sheet doors; and the largest selection of replacement sections in the Front Range, if the product is still manufactured we can get it for you! 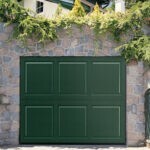 For all your commercial and residential garage door needs, contact us today at (303) 776-DOOR (3667).